Yesterday Eurodollar reached its main target and my Take Profit worked. However, right now there are no signs of reverse, that’s why I opened short-term sell order during local correction. Target is near several fibo levels at 1.3665. 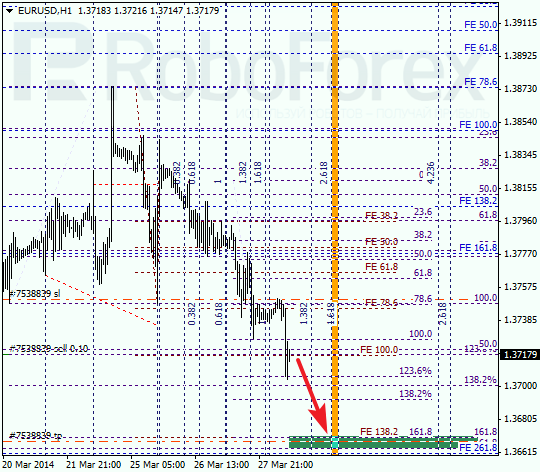 As we can see at H1 chart, after slight consolidation, pair broke its local minimum. According to analysis of temporary fibo-zones, lower target levels may be reached during the day. If later pair rebounds from them, market will start new and deeper correction. 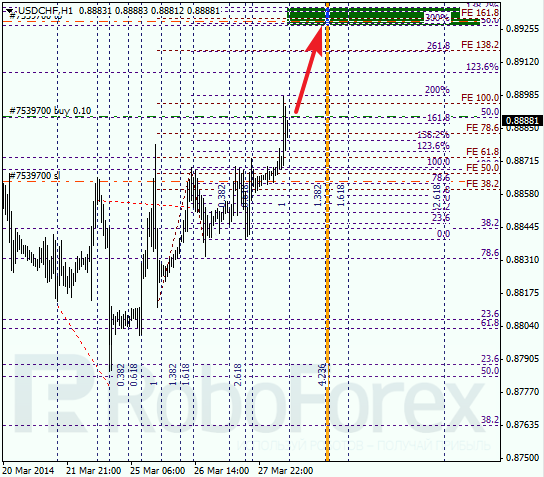 On Thursday franc reached my Take Profit, but I opened another buy order during correction. Possibly, pair may reach new maximum during Friday. 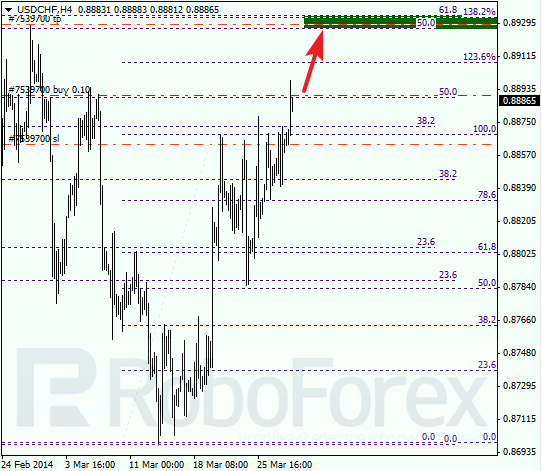 Closest target is near several fibo levels at 0.8930. As we can see at H1 chart, local correction is taking place. 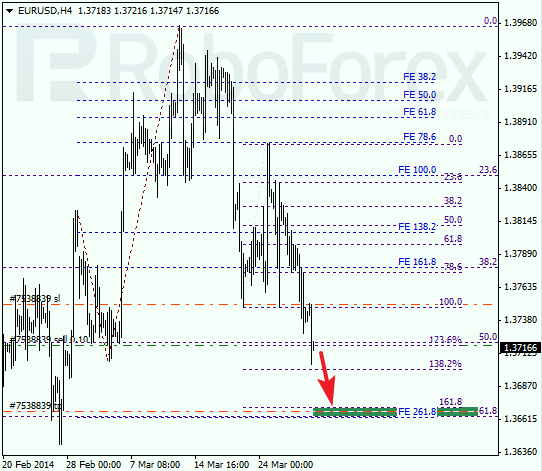 According to analysis of temporary fibo-zones, upper target levels may be reached until the end of this trading week. If pair breaks them, market may start new ascending trend.